Easthampton is a town known for embracing the arts, fostering growth and opportunities that other communities do not. 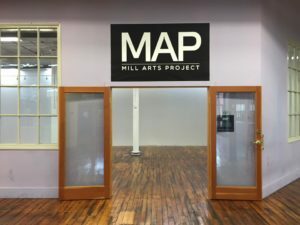 I am humbled and thrilled to be a part of the Mill Arts Project. Over the next 6 days I will be pouring sweat, hopefully not blood or tears, into this space as I transform it into an exhibition larger than anything I’ve ever produced. Unlike most exhibitions, where in the past I would walk in and hang the work, most of what I will be doing is building the entire exhibition within the space. Having the ability utilize the space, I’ve decided to treat it as a site specific project in addition to the work that will be hung. Over the course of this coming week you will find me editing, cutting, printing, and hanging the work within the space. Feel free to stop in for a visit. 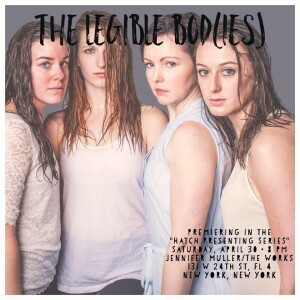 The Bod(ies) have been selected to compete in a great competition, sponsored by the Easthampton Arts Trust. EAT is a crowdfunding cocktail party that introduces the community to four arts projects looking for funding in Easthampton, MA. TLB hopes that a WIN at EAT will help the team to cover production costs for a 3-month residency at Art Walk Easthampton. Throughout the summer, the bod(ies) will present performances and gallery exhibits surrounding our newest project, ‘Undrowning’, which will premier in October. Learn more about the event, and how you can attend and support TLB, by following the link below! We are excited to premier work at the HATCH Presenting Series tonight in New York City. Check out the interview with our Choreographer, Noel, that is featured on their blog! Why, what do you do on a Saturday? Posted on March 1, 2016 Author admin	No Comments on Let it flow. We went back and forth, discussing this idea, determining what it would look like. a road a forest an empty space? people…drown? what does water have to do with this? we can tell stories with water. One simple idea, one short pier, one video camera. That’s where we begin. With a stream of consciousness, babbling about water and movement and time and loss and rebirth and discovery, we begin.